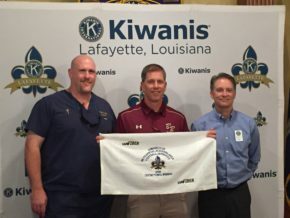 Kiwanis of Lafayette congratulates Coach Terry Martin of Breaux Bridge Senior High School, your 2016 Crying Towel Champion for the 65th Annual Kiwanis Jamboree! The highlight of Coach Martin's speech was his discussion of the many nicknames given to his players. Thanks to all the coaches who came to speak to us today! 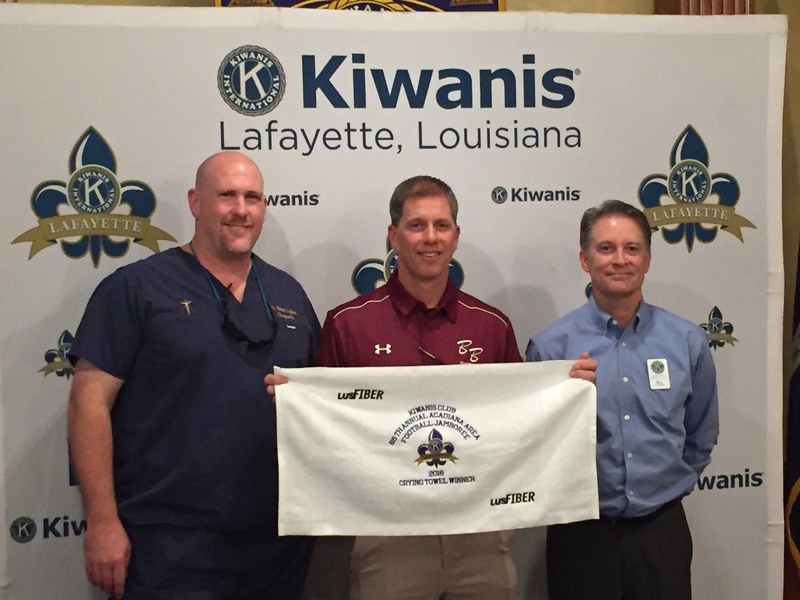 Thanks also goes out to LUS Fiber for their sponsorship of the 2016 Crying Towel. Join us this Thursday and Friday night for the 65th Annual Kiwanis Football Jamboree - your official kickoff of the 2016 football year!